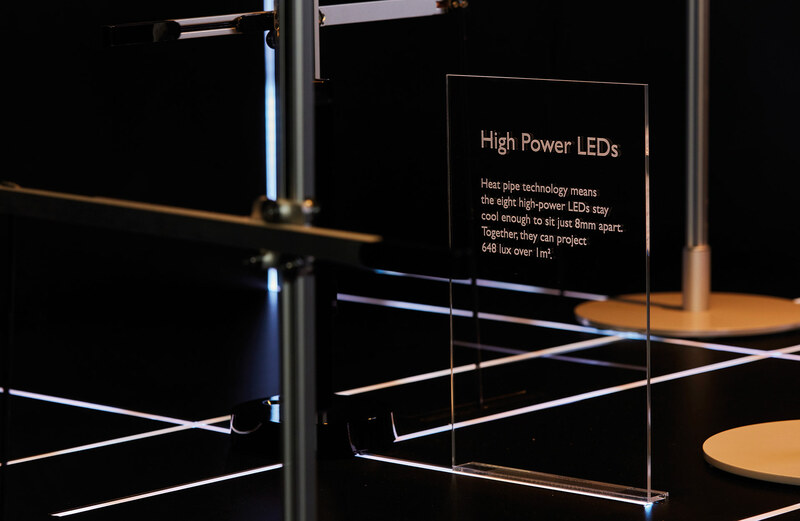 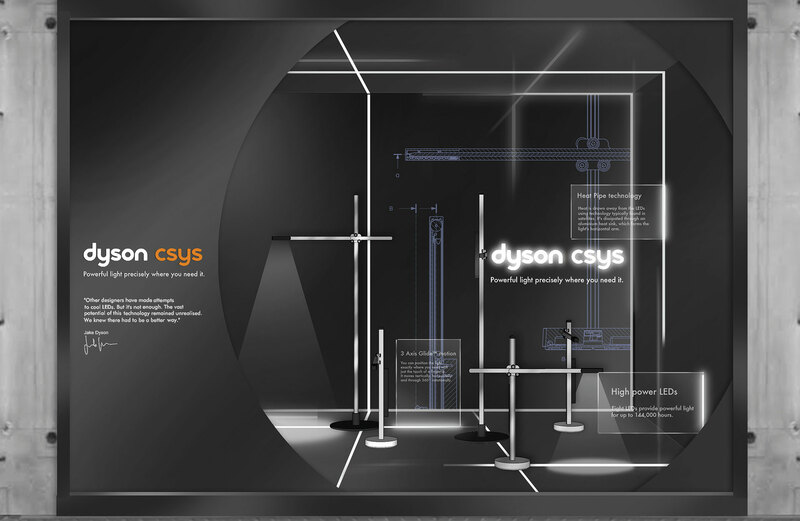 We were tasked by Dyson to create a unique and engaging window display for Heals on Tottenham Court Road. 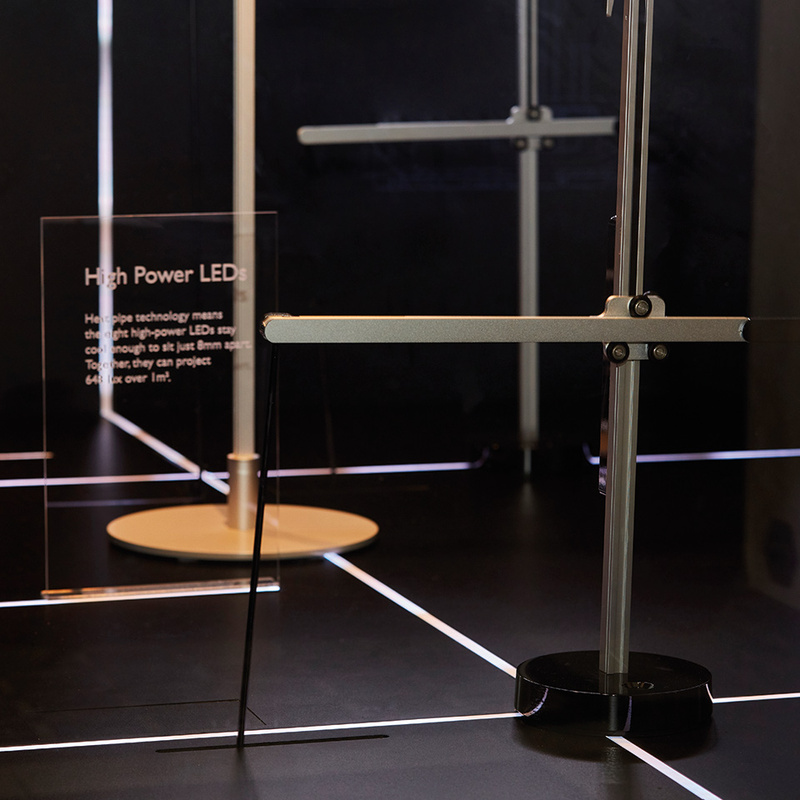 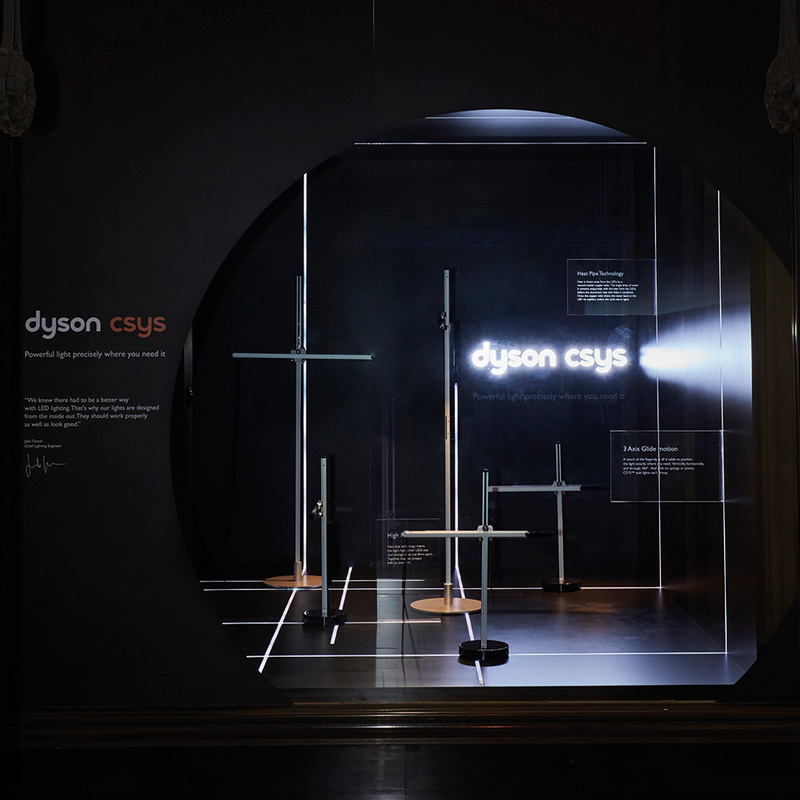 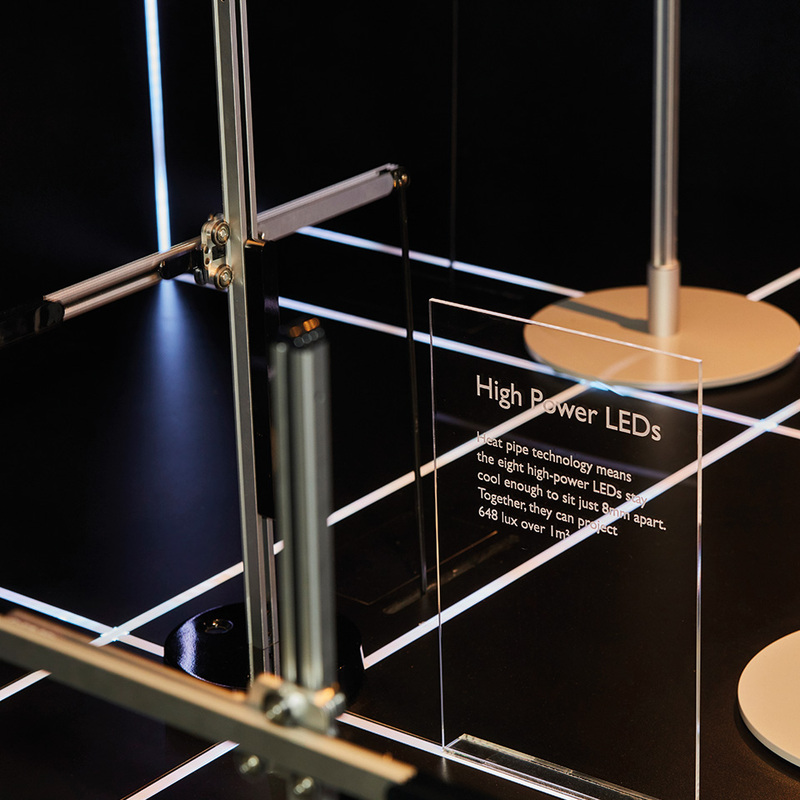 The window display was centred around the Dyson Csys Lamp range from Jake Dyson. 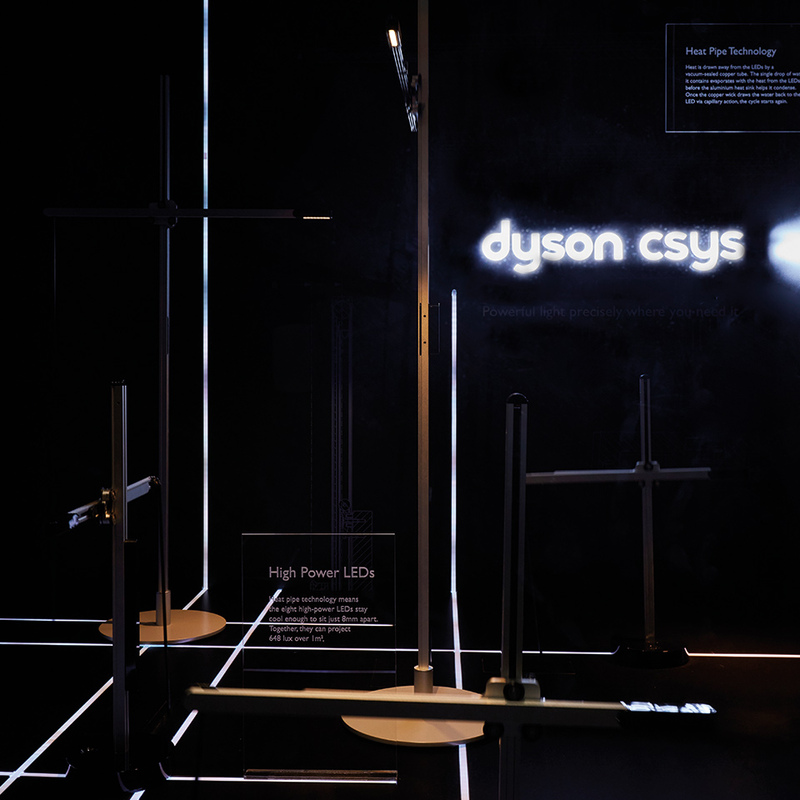 Using diffused, chasing LED lighting and a variety of complex mechanical gearing we brought the lamps to life and showcased the variety of movements that are possible whilst maintaining the linear, industrial feel of the product itself.